I wanted to share my experiences for this month in exercise and diet, but this post if the things I use to help me along the way. The reason I need to lose weight is a concern to get Diabetes. I’m already pre-diabetic. I also feel like a slug, with no energy, so very much out of shape, and want to increase my metabolism by winter so I can feel warm. Fitbit Flex Tracker. I got this when I upgraded my phone last year, and the Fitbit was free. It’s a pedometer but has some nifty things to help with other things. Currently, I’m working on 5,000 steps a day and hopefully will reach 10,000 by the end of the month. Fitbit Charge This model of Fitbit includes a heart rate monitor. Alarms– I can set alarms that buzz my wrist through the day or night. I can have it wake me, or set as a reminder, and can have a number of alarms through the day. Even alarms to remind me to walk. 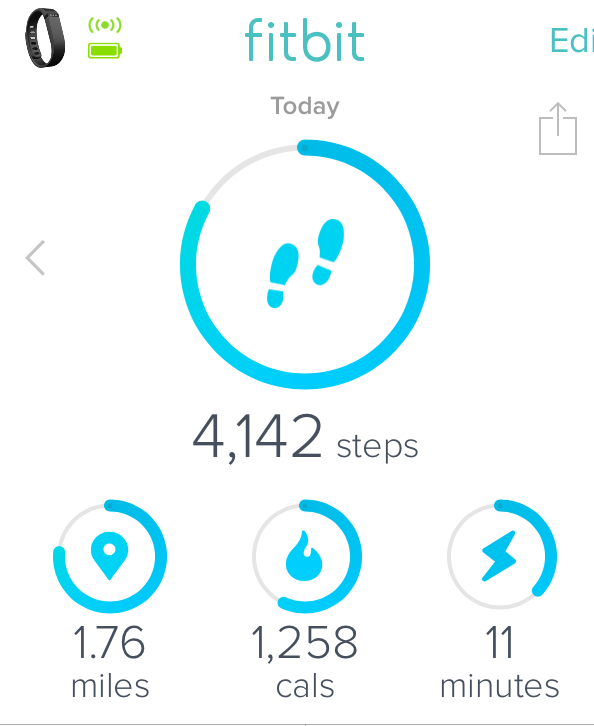 Fitbit App for iPhone– The Fitbit can be used with the computer only, but the app adds some additional features I enjoy. It tracks 250 steps you should be walking each hour of your waking day. Scans food and adds to your daily tracking. Just scan the barcode with your iPhone and it adds the calories and serving size to your tracking. Other smart phones can also provide this feature such as myfitnesspal.com. Weight Scale. I do not weigh myself every day. I might weigh through the week, but the pounds only count on Fridays. 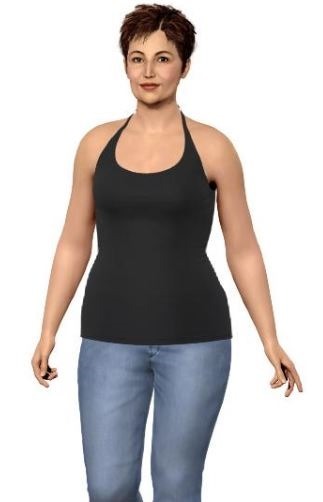 The human body can change weight due to water weight gain, and I also recognize that gaining muscle will also add to the scale while you’re losing fat. Weight measure tape. I measure weekly, on Fridays, to see if there are changes. I’ve seen no change on the weight scale but found inches drop off. Eating six times a day. I eat smaller three meals, each including fruit/veggies, lean protein, and complex carb. I allow for three snacks, but eat mostly veggies, fruit, or the occasional piece of deli meat like turkey or ham. Lots of water. I drink more water, sometimes tea, and only 1-2 cups of coffee in the mornings. Water comes first, and hydrate through the day. My first week of September? I lost three pounds, probably water, but feel better.